The Xpand brand is committed to creating engaging, community driven events that bring together locals, tourists, performers, makers, nonprofits, artists and more. Through attending, purchasing a beverage or piece of art from a local vendors or donating to our event, you become a vital part of Asheville’s arts economies success. 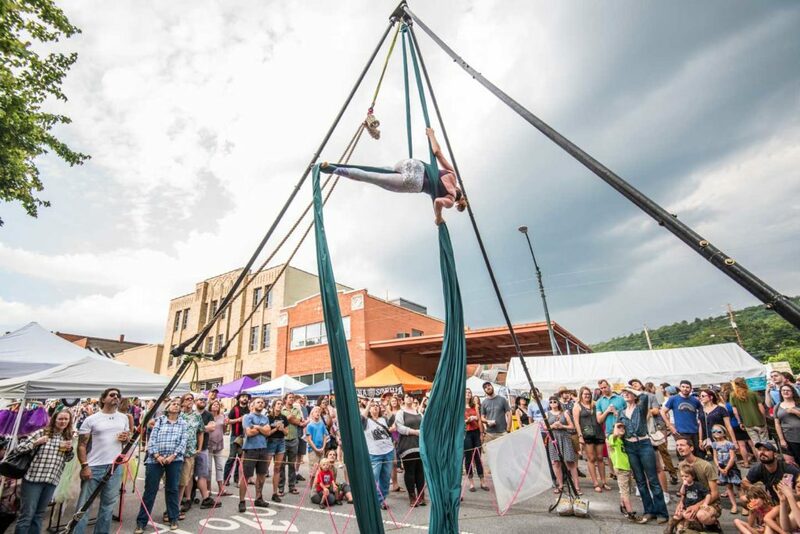 The City of Asheville recently studied special events to understand their economic impact locally. That study highlighted many benefits including attracting customers as well as generating over 2.5 million dollars a year for local businesses. That study reiterates what many cities around the country already know: events can have an exceedingly positive impact in driving local economy. Take a look at our current event offerings below, donate to support, and get involved today! A yearly fundraising event on August 28th that supports the local food and beverage industry. EAF828 celebrates the creative intersection between food, beer and art as a means to economic development. To learn more about this unique fundraiser event, or to participate, click the image above. A yearly beard competition & fundraiser that helps in educating on acceptance and inclusion. KAB celebrates the blurred lines between masculinity and femininity as a means to an equitable society. Take a look at 2019's exciting event (and stay tuned for announcements for next year) by clicking the image above! A one day workshop for creatives and artists entrepreneurs looking to grow their skills. Using unique tools specific to the artist mind, we work with you to achieve the success you want to have. To stay up to date ( inaugural WOA Symposium slated for 2020) or to learn more, click the image above! A FREE street festival to celebrate the local arts community. Xpand Fest highlights arts and innovation as essential tools for sustainable development and as a powerful platform for social change. Learn more about June 8, 2019's programming by clicking above! Subscribe to our newsletter to receive updates about all of our events!